The Board of Directors of The Rockfall Foundation is pleased to announce the recipients of its 2018 Environmental Awards to be presented at the Foundation’s Annual Meeting, Grants & Awards Celebration on Thursday, November 1st at 6 p.m. Lyme resident and former Executive Director of Lyme Land Conservation Trust, George Moore, will receive the Tom ODell Distinguished Service Award. Certificates of Appreciation will be presented to the Town of Killingworth and the Parmelee Farm Committee; the Town of Portland and the Air Line Trail Steering Committee; and East Haddam teacher Shaleen Thody. The event is open to the public and takes place at the deKoven House Community Center located 27 Washington Street in Middletown. George Moore was elected to the Lyme Land Conservation Trust Board as a volunteer director in 2003. In 2007, he was elected Board President, and in 2013 was appointed as its first Executive Director. Through his vision and effective management over 14 years, George helped transform the Land Trust into one of the most active and successful in the state. Among his many accomplishments are building the Land Trust’s membership to half the households in town; the acquisition of numerous preserves and working with conservation partners to increase protected land in Lyme to over 50 percent; assisting with securing national accreditation from the Land Trust Alliance; arranging for the production of the PBS films A Conservation Minded Town and The Rest of the Story; and organizing and managing the Land Trust’s highly successful annual fundraiser: the Tour de Lyme. He retired in late 2017 and was named director emeritus, a position created in honor of his service. George also served for three years representing the Northeast on Terrafirma RRG’s Member Committee, which helps land trusts defend conservation properties and easements from encroachment. 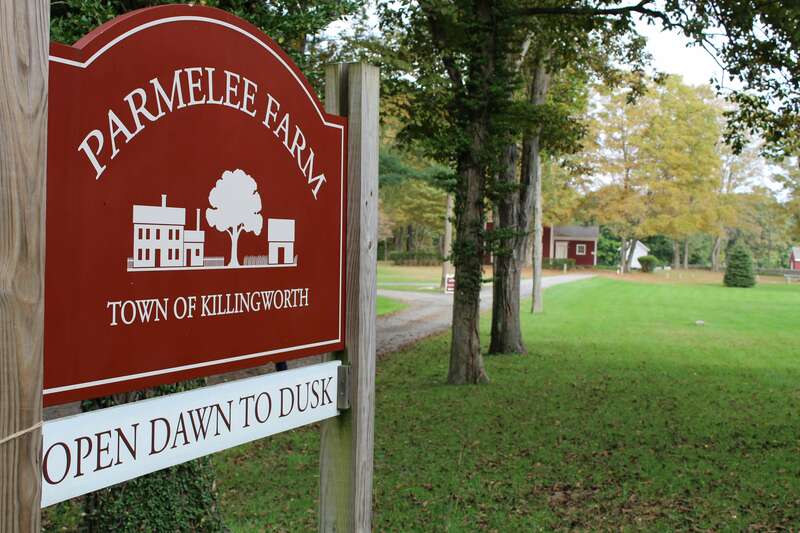 The Town of Killingworth established the Parmelee Farm Committee in 2009 to develop long-range plans for the use of this property that had been purchased by the town in 2000. Initially a group of derelict buildings and a tangle of brush and weeds, volunteers transformed the property to a community hub. 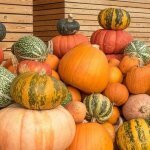 Today, the farm includes community gardens, nine miles of woodland trails, an historic farmhouse, a bird-watching blind, and an open air pavilion. 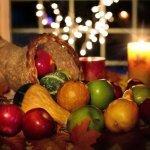 Festivals, concerts, educational workshops and markets take place here, and community organizations use the farm for a wide variety of outdoor activities. A maple sugar house is currently being constructed to teach people about the process of producing maple syrup. The property, which was established in 1847, was granted a listing on the State Register of Historic Places in 2011. The Town of Portland formed the Air Line Trail Steering Committee in 2014 to formally organize individual efforts to develop the Air Line rail route in Portland to a rails-to-trails greenway. The volunteer committee, in cooperation with town departments and officials, successfully developed a site plan, licensed the land, received funding, and hired engineering and construction companies. 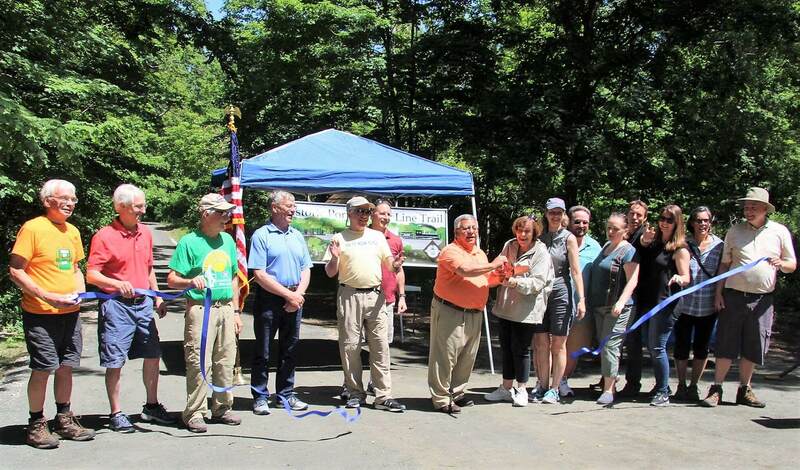 Construction of Phase 1 of the trail began in 2017 and June 3, 2018 marked the official opening of the trail to the public. Phase 1 of the trail runs about 2.3 miles and includes several descriptive displays to highlight notable points of history along the trail. Work has started on Phase 2 of the Portland trail, with a goal of continuing west to downtown Portland, the bridge to Middletown, and the riverfront park area. Portland’s trail should soon also connect to the current 53-mile long Air Line State Park Trail. Shaleen Thody developed the Environmental Club at Nathan Hale Ray Middle School in Moodus in 2013 to engage students in learning about local wildlife and conservation measures. Shaleen partnered with the East Haddam Land Trust to engage individuals with the relevant knowledge and experience necessary to begin trail construction on school property. There are now over two miles of trails, picnic tables and benches, a bridge installed across a river, and trail maps, amongst many other highlights. She has led the students to identify more than 45 plants and trees along the trails, identify and mark wetlands, and develop both a vegetable and a butterfly garden on school grounds. Under Shaleen’s leadership, the Environmental Club harvested and prepared produce from the garden to serve with students’ lunches in the cafeteria. Shaleen has also integrated work with the Next Generation Science Standards into studying the nature trail and the garden with all of her classes. For additional information about the 2018 Environmental Awards, The Rockfall Foundation, or the November 1st Annual Meeting, Grants & Awards Celebration, please visit the event page or call 860-347-0340.